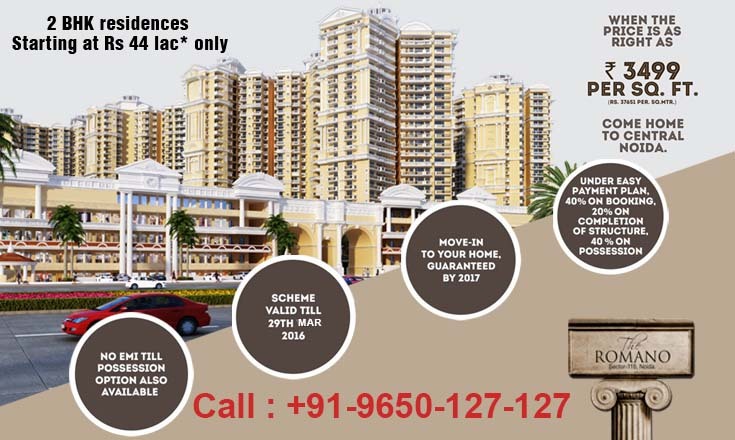 Supertech Romano is a new residential township developed by Supertech group, a leading real estate developer. The project is strategically located at the heart of Noida, on Yamuna Expressway. The township is comprises of apartments, plots, villas, castles and high rise apartments, integrated township, area of 100 acres. Romano is presenting the Spanish Villas and Roman Castles for a blend of community life with luxurious European-style private living. It fully equipped with god gifted nature surrounding qualities that not only extend your lives but also give a graceful living. It is going to put unbeatable benchmark in real estate industry because of having grandness architecture and comfortable living condition.